Count trainer Chris Richard as one of the more enthusiastic horsemen regarding the recent removal of Polytrack and installation of dirt before this year's fall meet at Keeneland. 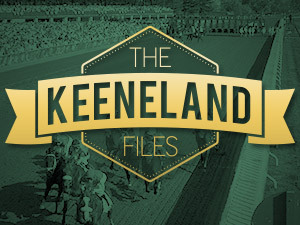 Richard registered four wins from his first five starts at Keeneland this fall, winning three races for owner Maggi Moss with Galloping Domino, Como Se Llama, and Electric Temptress; and one with Jackrabbit Thoroughbreds’ Quality Council. Richard has enjoyed success in recent years at Prairie Meadows, where he has registered four training titles and finished as second-leading trainer this year. Without many horses with proven form on synthetic surfaces or turf horses that might excel on Polytrack, Richard had few Thoroughbreds he thought were a good fit for Keeneland in recent years. After making just a few spot starts at the Lexington track in recent years, Richard was excited when he read about plans to switch the main track back to dirt. He was certain he’d have some horses who would be good fits at the meet. Richard had previously worked with horses at Keeneland as an assistant to Tom Amoss from 2000 to 2005, when he went out on his own. Richard loved winning races at Keeneland with Amoss and looked forward to saddling his own winners this year. With Kentucky moving September dates from Turfway Park, which features Polytrack; to the dirt racing at Churchill Downs, Richard has had even more options in Kentucky. 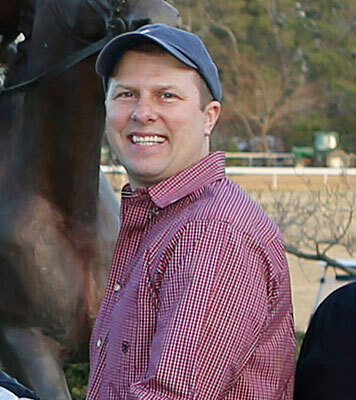 Richard, 43, a Ragley, La., native, grew up helping out his grandfather who ran horses at Evangeline Downs and Delta Downs. With that interest in horses from a young age, Richard studied at Texas A & M, where he received a B.S. in Animal Equine Science and an M.S. in Equine Nutrition and Exercise Physiology. He would train some horses for owner Jim McIngvale before taking the assistant position with Amoss. When Richard was ready to move out on his own, Amoss helped him along. “Tom was very instrumental to me in going out on my own, he was very supportive,” Richard said. Richard said he initially had five horses when he started at Arlington Park. Moss would soon express interest in racing in the Chicago area, but Amoss was not interested in starting a stable there. He recommended Moss consider Richard, and the two quickly found success. Richard said they work well together. Last year Richard ranked 36th in wins and 81st in earnings among North American-based trainers. The Midwest-based trainer has won multiple stakes and registered his first graded stakes win with Outta Tune in the 2012 Count Fleet Handicap (gr. III) at Oaklawn Park. Richard enjoys working with horses and likes competition. The Kentucky Derby (gr. I) and Triple Crown races are a goal.